TRAINING ROPE - Rae Crowther Co.Rae Crowther Co.
50’ length x 1.5” diameter x 24 lbs. Training Ropes are a great choice indoor or out. A braided Training Rope does not shed and is non-abrasive. Ropes offer you a complete, full-body workout. 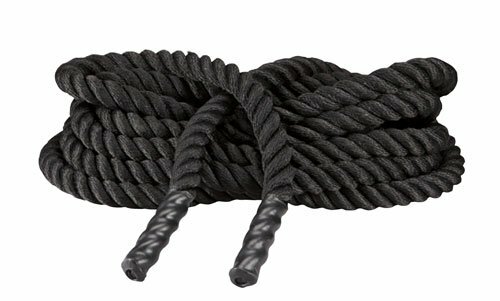 The braided ropes are 80% danline and 20% polyester – they are more durable and have a greater life span than manila ropes and feature a plastic boot on each end to prevent fraying. You will quickly notice how training will transfer into your sport or activity. You will not only have a lot of fun with your training, but you will also find yourself more motivated in general. This is due to the increased physical and mental discipline you will gain.